The Reactive Monitoring process established under the World Heritage Convention is one of the most comprehensive systems of monitoring ever developed under an international legal instrument in conservation. However, some of the key stakeholders involved in its implementation do not always fully understand this process and its multifaceted associated procedures. The objective of the following project is to strengthen the implementation of the World Heritage Convention by improving the effectiveness and the understanding of its Reactive Monitoring process, including the benefits of the inscription of properties on the List of World Heritage in Danger. By being Parties to the 1972 World Heritage Convention, 193 countries have already recognized that the sites located on their national territory, and which are inscribed on the World Heritage List, constitute a world heritage “for whose protection it is the duty of the international community as a whole to cooperate”. Reactive Monitoring is defined as being the reporting to the World Heritage Committee on the state of conservation of specific sites inscribed on the World Heritage List and which are under threat. To this end, reports are prepared by the UNESCO World Heritage Centre and the Advisory Bodies (ICOMOS and IUCN). States Parties can also ensure the accuracy of those reports, inter alia by submitting their own reports within the statutory deadlines, early information on any development or restoration project, by providing sufficient and relevant information during missions, etc. 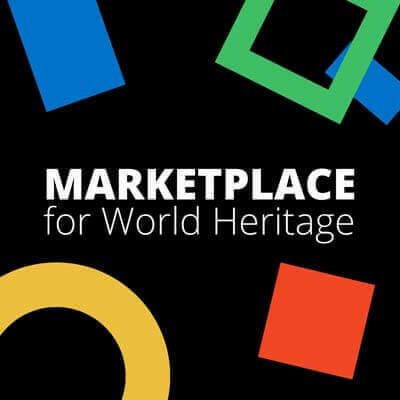 Since 1979, over 3.300 reports on the state of conservation of 536 World Heritage properties have been examined by the World Heritage Committee. On average, 150 properties are monitored yearly through the Reactive Monitoring process, including those inscribed on the List of World Heritage in Danger. Clear guidelines on the purpose of the Reactive Monitoring process and its organization will be proposed, accompanied by a set of recommendations addressed to the various stakeholders of the Convention to further streamline the process and the procedures, and improve both their effectiveness and wide understanding. The evaluation will also provide a better understanding of benefits of the inscription of properties on the List of World Heritage in Danger. Appropriate information material will be developed both to better communicate on the Reactive Monitoring process and its procedures with all key actors, especially decision-makers, national focal points, site-managers, local communities and the civil society, and to overcome the current negative perceptions of the List of World Heritage in Danger. Strengthening the implementation of the World Heritage Convention by improving the effectiveness and the understanding of its Reactive Monitoring process. The current lack of understanding hampers the proper implementation of the decisions adopted by the World Heritage Committee at site-level and have a negative impact on the state of conservation of the properties these decisions are deemed to protect. Demonstrating the benefits of the inscription of natural and cultural properties on the List of World Heritage in Danger to overcome the negative perceptions of this List, highlighting the importance of the protection of the Outstanding Universal Value, which justified their World Heritage status. In addition, a selection of relevant case studies shall complement the activity to illustrate the various issues identified, in terms of success stories, good practices but also in terms of difficulties. During its 40th session (Istanbul/UNESCO, 2016), the World Heritage Committee highlighted that the Reactive Monitoring process is a key indicator of the effectiveness of the Convention itself and that it provided a unique global overview of the state of conservation of natural and cultural heritage. It was however stressed that its content and its procedures were not always clear for all key actors and that there was now a need for an evaluation of the effectiveness of this process. Committee members highlighted that the List of World Heritage in Danger was often perceived by many actors as a “degrading list” and decided that it was high time to reverse this negative perception and to highlight the benefits of such ‘in-Danger’ listing (Decision 40 COM 7). The World Heritage Centre being the Secretariat of the World Heritage Convention, it is the best positioned to undertake such evaluation of one of the most crucial processes of this Convention. The following timeline for the evaluation of the effectiveness of the Reactive Monitoring process can be envisaged. It is to be noted that ideally, the presentation of the report at the end of the process should intervene during a session of the World Heritage Committee (which takes place each year in June/July). An estimated overall funding of US$ 100,000 is needed for the implementation of this activity. These funds will cover consultants fees (for both natural heritage and cultural heritage), travel and accommodation expenses, communications, joint report production, as well as translation in the two official languages of the Convention, design and printing of the appropriate information material.